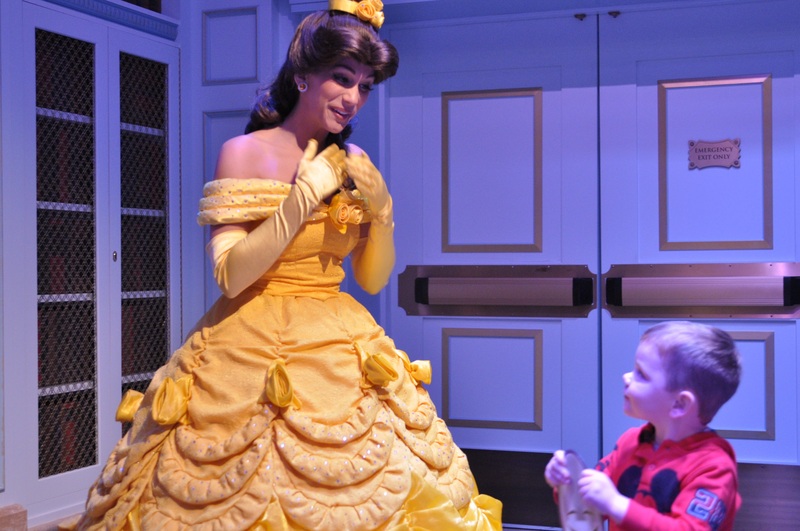 Although the attraction has been open to visitors for almost a year now, Enchanted Tales with Belle (ETwB) continues to draw large crowds daily in New Fantasyland at the Magic Kingdom. Due to the nature of the experience and its popularity, wait times for this attraction start building early in the morning and are consistently 30-40 minutes or more throughout the day, even on less crowded days. If you do not select this attraction in the newly implemented Fast Pass + program, DWDads suggests making ETwB your first stop after rope drop to avoid the impending large crowds later in the day. 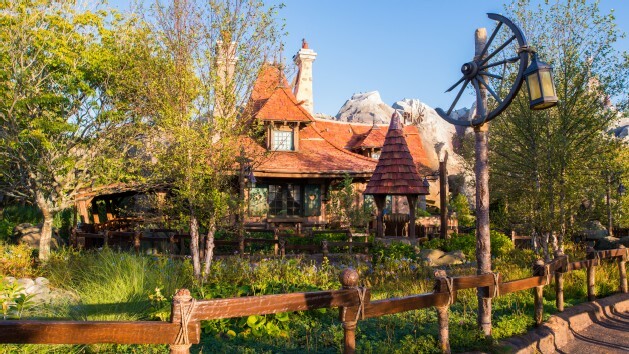 You approach Belle’s cottage, through Fantasyland Forest and you can see it is a tiny little home. The majority of the ride queue is outdoors, wind your way closer take notice of the beautiful details of Belle’s cottage, Only about 30-40 people are admitted at a time, the line tends to move in spurts. Once your party makes its way into the entrance of Belle’s cottage, you are immediately transformed into Belle‘s world. You feel like you are in her family home from the movie. Although my boys loved the checkerboard and mugs in the center of the room, make sure you take the time to pick out some of the details that the imagineers used to immerse you into Belle’s childhood home. After you move your way through the living room area – you’ll enter Maurice’s workshop at the back of the cottage. Every inch of the room is covered with inventions and gadgets that Maurice has been working on in his shop. Then magically a door appears before you and you are whisked away into the parlor where you are greeted with an amazing piece of animatronics Madame Wardrobe. Here with the help of a wonderful Cast Member Madame Wardrobe explains that we are to surprise Belle by re-telling the story of how Belle and Beast met. Props are then given out to guests who volunteer to play parts in the telling of the story. After roles are all given out Lumiere then calls everyone to gather in Beast’s library. Lumiere is one of the most impressive displays of animatronics around. Seeing this character come to life is reason enough to visit the attraction. Once in the library those with roles gather in the front around Lumiere, while the rest of the audience sits on comfortable benches around the room. Lumiere calls Belle (live person) into the room and together they direct a small show with each of the guest volunteers playing a special part in the show. 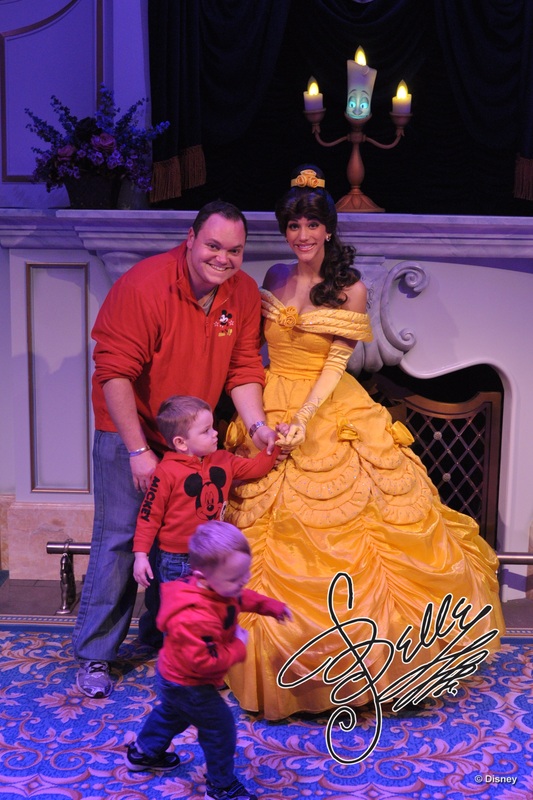 A photopass photographer captures all of the great moments of the show, and every guest that plays a role in the show, is given a chance to meet Belle and take a quick photo. 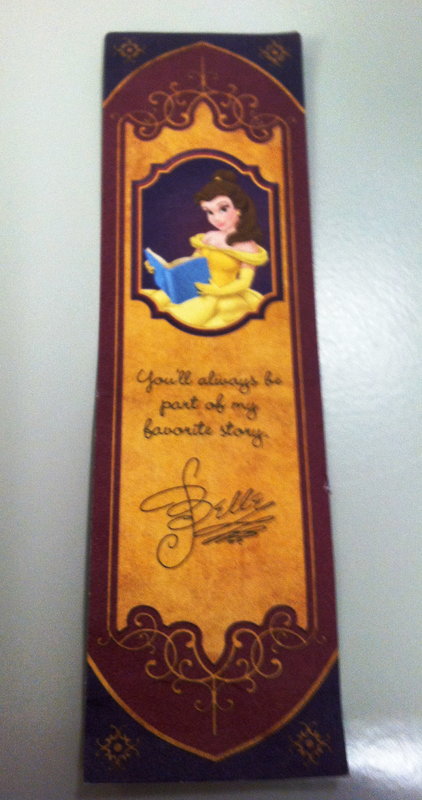 Belle is then rushed out to meet Beast at a ball, but every member that played a part is given a bookmark as a memento of the occasion. 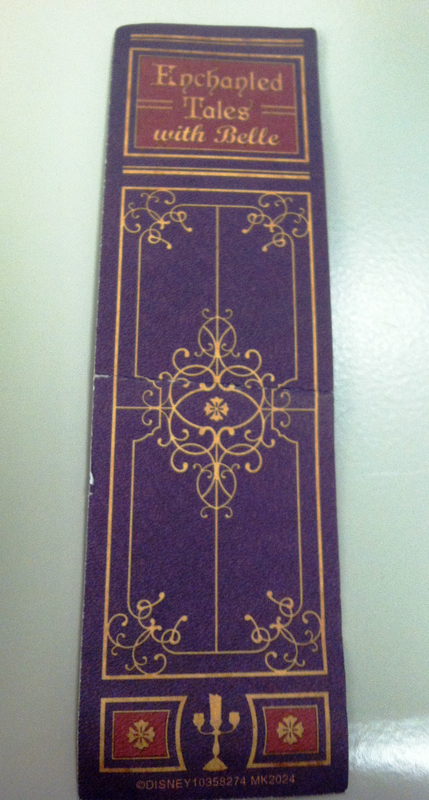 These bookmarks, along with the photopass photos, make this attraction a memorable one. Let’s be honest: There are reasons why we are willing to pay when places like the Disney Parks overcharge us for things that would cost a fraction of the price in the real world. 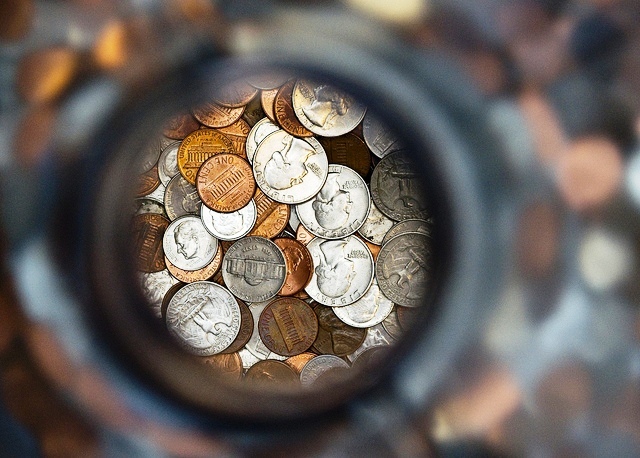 For one, we are on vacation, so the money in our pockets may be considered a bit more disposable than when we are home. Plus, it’s hard not to get caught up in the moment when we are living “in the bubble” for a week; suddenly, we forget that we usually spend $2.50 for an entire case of water at home, but in the parks it is the cost of a single bottle. So, we have to rely on our “still at home” selves to save some money for the “on vacation” spendthrifts we become! Here are some things that you can purchase while you are still at home that could potentially save you a bundle when you are in the parks. Florida is known for its daily rain showers, sometimes only lasting a few minutes, sometimes lasting all afternoon. While looking through the photos from a typical family’s Disney World vacation, you would be hard-pressed to not see at least one picture of people in rain ponchos. Disney charges a little less than $10 for a poncho, so a family of four is spending close to $40 for ponchos. The good news is that these are destined to be family heirlooms, passed down from generation to generation. OK, not so much. They are plastic and they have a picture of Mickey Mouse on the back. Also, if it rips, Disney will replace it free of charge. Otherwise, there is no reason to have to pay that amount. 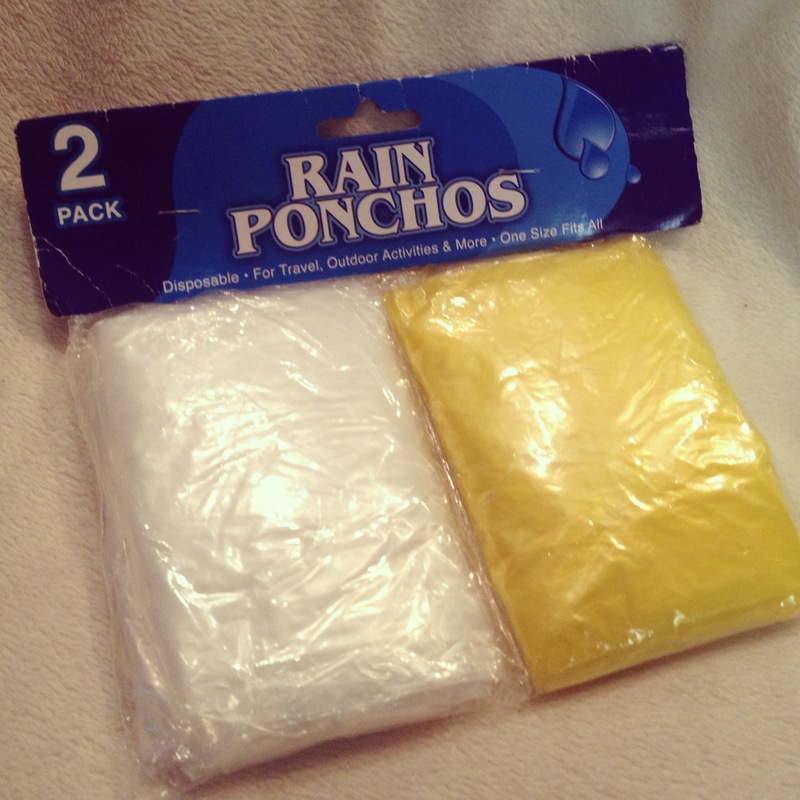 Most Targets, Walmarts and dollar stores sell ponchos, many times in a 2-pack for $1.00. Honestly, these are trash bags with a few holes in them, and you are usually better off using them and throwing them away rather than trying to dry them and reuse them; but that sounds better than lugging around wet plastic for the week anyway, doesn’t it? Dealing with hydration, especially in Florida, is a top priority for any Disney vacationer. Free water is plentiful in the parks, either at the tap or at counter service restaurants. Many of us, however, have grown accustomed to bottled spring water. Disney charges $2.50 for a single bottle in the park. This isn’t too bad; the same bottle at a movie theater or a ballpark may cost you twice as much. But it adds up. Let’s say you drink 4 bottles a day, for 7 days: $70 multiplied by the number of people in your family. Many online retailers (Amazon, Staples, etc.) sell cases of bottled water that can be ordered and shipped to your hotel prior to your stay. These are usually priced higher than the case you would buy at your local supermarket, but they still represent a significant savings. For example, a recent search on Amazon turned up a 35-pack of spring water for $22 with free shipping. When you get to your hotel, you would have the water sent to your room with your luggage. In the morning, everyone grabs a bottle or two and it will save you a few bucks (or some snack credits) in the park that day. 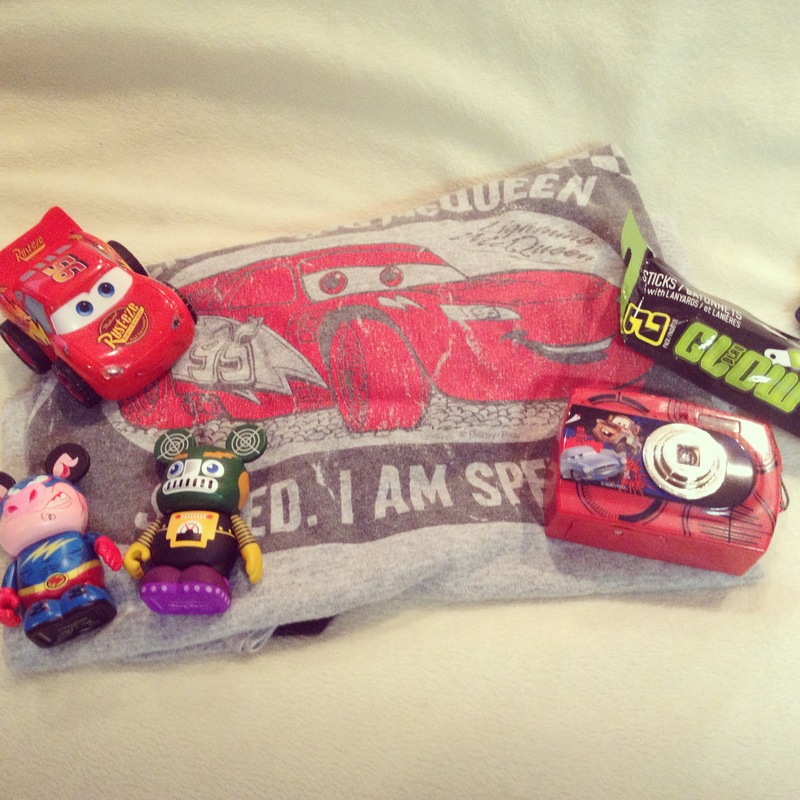 Purchase souvenirs before you leave home, so you can buy more expensive ones in the parks! Buying souvenirs is an important and fun part of many family vacations. Chances are, all the money-saving preparations in the world won’t stop you from buying that really cool Epcot thimble when you see it and fall in love with it. But, sometimes it can become frustrating to continue to spend money on things that are being sold back at home for a lot less. Here are a few tips to help you out with souvenirs. First, hit up the Disney Store before you leave. Check out their clearance section for t-shirts, toys and other fun items. Don’t tell the kids about them, and you can surprise them with little toys and gifts throughout the trip. If you are into Vinylmation, check out that section of your Disney Store as well. Many times, there are great deals (Buy 1, Get 1) or clearance sales (I’ve seen them marked as low as $2.99) on these collectibles. The deals may not be on the type you want, but these make great traders in the park. A couple of traders can keep a child collector busy for the whole vacation. Finally, check out the dollar store for nighttime entertainment souvenirs, like glow sticks or other glow-in-the-dark toys. Many of the toys sold during parades and fireworks can cost $15 or more. You can be a real hero if you break out a huge package of glow sticks to give to your family (and maybe even your sidewalk neighbors, too!) while you are waiting for the nighttime parade to begin. 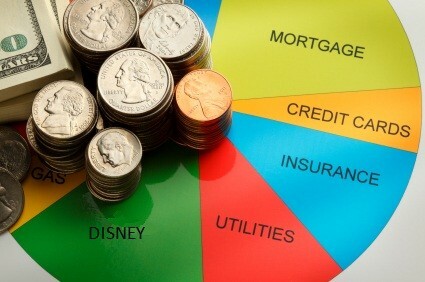 While these tips won’t stop you from spending (perhaps more than you wanted) while you are on vacation, they can help you avoid overpaying for some things, saving extra money for another Mickey Bar or Dole Whip Float!